Before you make a purchase let Kinnek do the hard part. Submit a free request for quotes using the form to the right, and we'll get multiple suppliers to provide you their commercial ice maker offerings and pricing. This way, you can compare all your options in one place! Your business may necessitate the purchase of a commercial ice machine. There are a number of different factors to consider: available floor space, whether you want to go modular, whether you need different kinds of ice, cost, ease-of-maintenance, and more. Commercial ice machines are relatively limited in breadth, so your needs will most likely lead you to a few reasonable-fit options. Undercounter machines are pretty simple: they are meant to save space where there is limited floor space, whether a busy restaurant kitchen or the back-end of a grocery store. They come in a variety of configurations and come with a variety of different functions. 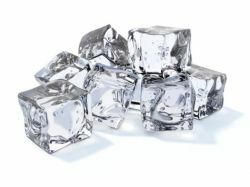 Some suppliers, for example, may be able to offer a cube-based undercounter ice machine, while others may be able to offer a flake-based undercounter ice machine. Others may offer a food-grade countertop to use as a cutting/cooking surface for your restaurant. Speak with suppliers to learn more about custom configurations. Countertop machines are sometimes used by businesses that want customers to engage in self-service. Because customers will see countertop ice machines, you’ll want to make sure that the one you purchase is aesthetically pleasing. Further, you may want to purchase a countertop ice machine that comes with a water dispenser installed, so that customers dispensing ice can conveniently serve themselves water, too. Like undercounter machines, countertop machines come in a variety of configurations and there are countertop machines available that are capable of producing cubes, flakes, nuggets, and more. Flakes, Nuggets, Cubes, and More – What Type of Ice Are You Looking For? Flakes are prized for several reasons: they are visually appealing (for display purposes), they can be packed around food easily, and this packing quality is also useful for increasing the level of cooling an item receives from being well surrounded by ice. 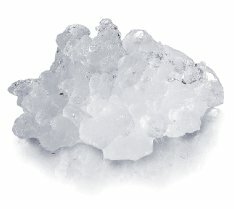 Flake ice is therefore popular in settings where cooling and aesthetics are both important, such as grocery stores (for cooling items on display, seafood, meat, etc.) and bars/lounges. Nuggets are great as serving ice for food accompaniment, since the nugget texture is relatively soft and is actually chewable. Nugget ice has become fairly popular in recent years, with many restaurants using nugget ice to cool their drinks instead of the cube alternative. These are traditional ice cubes. They’re classic and expected, so businesses uninterested in ‘rocking the boat’ often purchase cube ice makers by default. For bars/lounges, however, cube ice may be a preferred choice for mixed drinks. Mixologists prefer cube ice since the loose fragments of ice on the cube can be easily removed with a quick swirl in water (thus keeping mixed drinks from diluting prematurely). If you are purchasing for a bar/lounge, consider speaking with your mixologists first to see what their preference is. Filtered water is considered a must-buy in many instances, and it is fairly standard procedure to purchase a water filter system with your ice machine. Filtered water guarantees the cleanliness of your ice and lessens the likelihood that your machine will need to undergo repairs (filtered water results in less particulate matter, meaning a cleaner, more efficient system. When filtered water is not used, the particulate matter builds up and may damage the machine over time.). We highly recommend a water filter system if you purchase an ice maker. Most suppliers offer bagging systems that can be installed with the ice maker machine. This is useful if you are going to be bulk selling or otherwise distributing the ice you create. Q: What's better, air cooled ice machines or water cooled ice machines? A: Most businesses prefer air-cooled ice machines. They use less water, are better for the environment, and are cost-effective. One potential disadvantage is that they can increase the room temperature. Water cooled machines don't raise the room temperature and are quieter, but they typically cost more and can have can additional operating costs due to their reliance on water.